My current phase is scrappy. 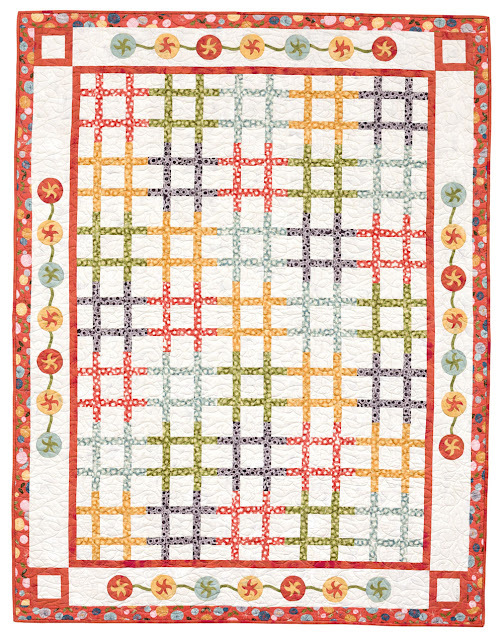 It has taken me many years to appreciate the beauty of scrappy quilts and no doubt the moniker 'scrappy' has all to do with it as I could not, for the the longest time, disassociate the word from its negative connotation. I would prefer to call them 'Confetti Quilts'. Confetti are colorful, happy, and when you throw them up in the air no matter where the colors fall the composition turns out pretty. 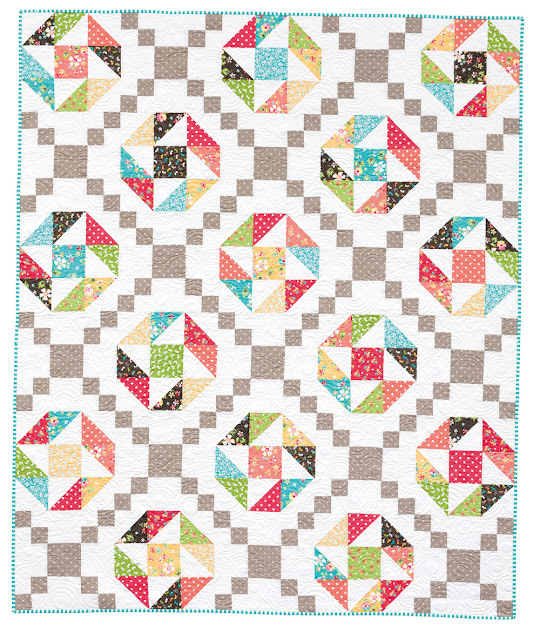 Just like scrappy quilts! "Lollipops" by Barb Cherniwchan for Coach House Designs is very imaginative, with each block creating a windowpane effect. I just found a great way to use all the skinny strips in my stash! This is "Bespoke" by Corey Yoder, and one of my favorites! I am thinking that even the Irish Chain blocks could feature different gray 'confetti' of the same value. "Counted Nine Patch" by Sherri Falls is sooo gorgeous and, again, the nine patches could also feature many fabrics with the same color... I am smitten! But wait until you see the quilts I did not show you! 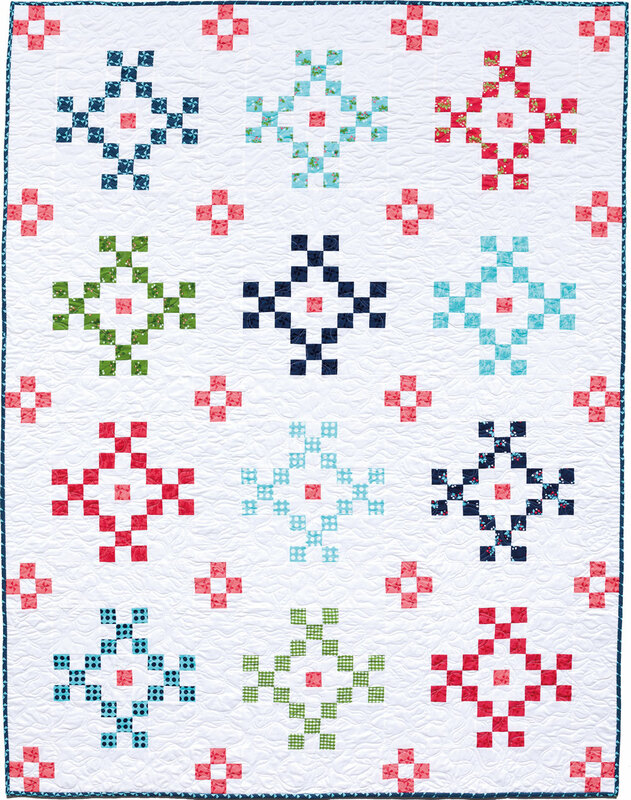 Modern or traditional designs, bright or dark fabrics - regardless of your preference you will find 16 projects in which to use the leftover fabrics you've been collecting to make gorgeous scrappy quilts. 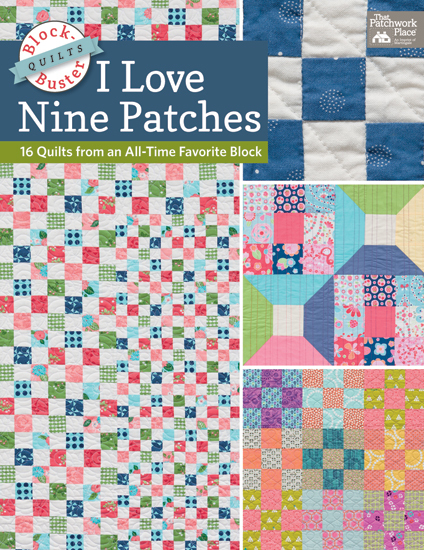 I have read "Block-Buster Quilts - I Love Nine Patches" cover to cover (I always do that as each pattern tells me a story...). The step-by-step instructions are super easy to follow and the diagrams ensure you don't have to wonder how a block should come together. Perfect for beginners, yet intriguing for experienced quilters, this book is a must have in your quilting library. It's time to dig through my confetti stash!